Ken is fascinated with ecological processes of all kinds. He has a background in Botany with degrees from Oregon State University and Colorado State University. His interest in wetlands and wetland management led to a position with the Department of State Lands. In his time with the state of Oregon he served as Wetlands Program Manager for the Department of State Lands and was awarded the 1992 National Wetlands Award from the Environmental Law Institute. He has served on the Board of the Association of State Wetland Managers. Ken was the Governor’s Watershed Enhancement Board Program Manager and Watershed Advisor from 1996 until 1999 when the Oregon Watershed Enhancement Board (OWEB) was created by the Oregon Legislature. Ken became Deputy Director of OWEB upon its creation in 1999. Ken oversaw the production of the Oregon Watershed Assessment Manual and worked with local watershed councils throughout the state to complete watershed assessments for all lands using a common format. Ken received a “Hammer” Award from the Clinton administration for his role in developing the Oregon Conservation Reserve Enhancement Program. The program remains a model for linking incentives to ecological needs in a creative manner. Retired from state service, Ken and his wife, Linda spend time with their granddaughter as much as possible. Cary Stephens grew up in Reno Nevada and moved to Oregon in 1987 to attend University of Oregon for undergrad. Upon graduation in 1991 (B.A. in Political Science) he married Lori Stephens, a native Oregonian. Lori is the owner and principal of Broadleaf Architecture PC. Cary began his law practice in 1995 after graduating from the University of Oregon, School of Law, moving to Corvallis soon thereafter to join Fenner Barnhisel Willis & Barlow, PC as an associate. He is currently a shareholder in the same firm, now named Barnhisel Willis Barlow & Stephens, PC. His practice emphasizes environmental law, land use, construction law, real property disputes, business law and general civil litigation in state and federal court. Cary served on the Downtown Corvallis Association Board from 2003 to 2010 (President from 2005 to 2006). He served as a member of Citizens Open Space Advisory Committee from 1999 to 2006 (Chair from 2000-2005). Cary was a board member of the Greenbelt Land Trust from 1998 to 2003 and again from 2005 to 2010 (Vice President from 1999 to 2001 and 2005 to 2007, President from 2002 to 2003 and 2008 to 2010). He is the race director of the Greenbelt's Run for the Hills which began in 2007 and continues annually to raise funds for local trail building efforts. 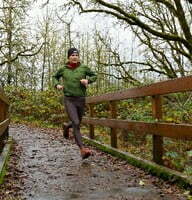 Cary is an avid trail runner, nature lover, sea kayaker, and cyclist. 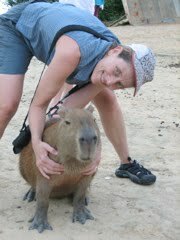 Deborah is passionate about conserving the diversity of the natural environment. She is convinced that connections to the natural world are essential to the well-being of people. Her priority is to leave a legacy of biodiversity to her grandchildren (Lilliana, Wren, and Vivian) and to their future grandchildren. To that end she has been and will continue to be a committed and enthusiastic supporter of the Institute for Applied Ecology. After receiving a PhD in plant ecology from Oregon State University in 1996, she worked at OSU teaching biology and conducting research, resulting in numerous reports and publications on the seed regeneration ecology of native prairie plants and on the management practices for the restoration of native prairies of the Willamette Valley. 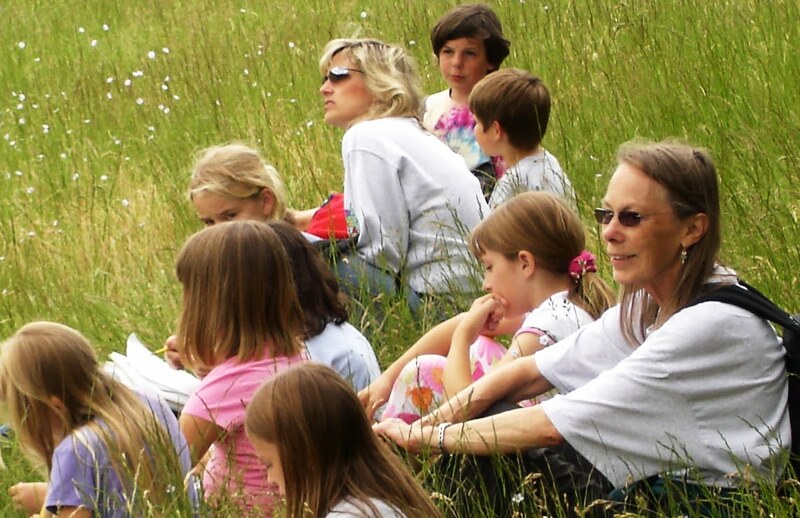 Laurie Halsey is a passionate advocate for nature and education. As private landowners, she and her husband Warren, have spent over thirty years in active management of projects involving conservation and restoration of natural resources and environmental education. Laurie served as a public school administrator and teacher from 1961-1992 and holds a B.S. in Education from Oregon State University and an M.A. from St. Mary’s College in Moraga, California. She holds California Life Credentials for Administration, Teaching, and Special Education, as well as Early Childhood and Resource Specialist Certifications. She has served on Boards of both educational and natural resources organizations. Since 1998 the Halsey’s Raindance Ranch has been a site of active wetland and oak savanna restoration, institutional research and education for local and international groups of all ages. Brandy was born and raised in Eastern Oregon before moving to the wetter side of the state to attend Pacific University in Forest Grove, where she received her B.S. Degree in Biology. Post-college, she took opportunities to study breeding birds in the cotton fields of Georgia and roam the grasslands and Coastal foothills of California’s San Joaquin Valley before returning to Oregon. Brandy has been working for the Confederated Tribes of the Grand Ronde Community of Oregon since 2001 and is now their Environmental Resource Specialist. Brandy’s extracurricular activities are as diverse as Oregon’s ecoregions. 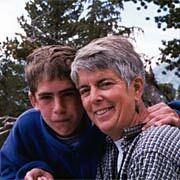 Sarah Greene spent 30 years as a forest ecologist with the US Forest Service. Sarah administered the Pacific Northwest Interagency Research Natural Area (RNA) program and managed Experimental Forests in Washington and Oregon (Wind River and Cascade Head). She has interests in long-term research and forest history. Bob Hansen is passionate about ecological restoration in general and specifically prairie restoration. Bob is expressing his passion by being involved with The Dalles Mountain Prairie restoration at Washington’s Columbia Hills State Park, near The Dalles, Oregon. At the 188 acres restoration site, approximately 150 head of cattle are grazed every year for about a month in November-December on a variety of pastures. In addition, Bob is restoring/landscaping his postage stamp sized ( 1/3 acre) backyard in Corvallis to a Willamette Valley floor upland prairie. Bob has a Bachelor’s Degree in Civil Engineering from Oregon State University, and a Master’s degree in Business Administration from Portland State University. Bob served on the Society of Ecological Restoration-Northwest Chapter Board from 2001 to 2006, including as President in 2004-05. Bob was the Marion County Public Works Director from 1981-2001, including Parks Director during the last part of his tenure. Carol Savonen is a naturalist and writer. 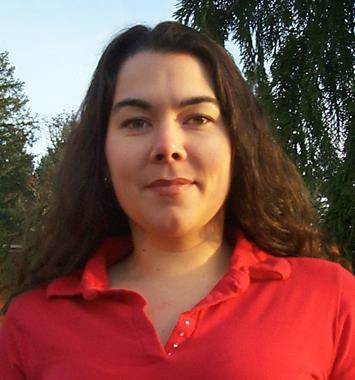 She studied biology at Lewis and Clark College, grad work in aquatic biology at OSU. She completed an MS in botany and University of Vermont. Working as a field biologist and environmental educator in Oregon, Washington and Alaska for more than a decade, she became interested in science writing. After a completing a fellowship in science communications with AAAS and a stint as a science journalist at the Oregonian, she joined the faculty at OSU, where she was a science and garden writer for 20 years. She writes a weekly gardening column for the Salem Statesman Journal. Now retired (emeritus) from OSU, she enjoys gardening with her husband at her home on the Marys River, as well as cooking, hiking and mushroom hunting, exploring, art and conservation work. Debbie has experience in forest inventory, analysis of forest inventory data with growth and yield models, GIS spatial analysis, forest and meadow restoration (recovery of spotted owl habitat, control of invasive plants, recovery of cultural food plants, restoration of dry forest ecosystems), and forest planning (development of ecologically-based forest plans). Debbie is currently the owner of Applegate Forestry, and was previously the Habitat Restoration Program Director for IAE (2009-2010). Prior to that, Debbie was the Forest information manager of OSU College Forests. Shinji is originally from Japan. He earned a Master's degree in Pomology at OSU and a Ph.D. in international development studies in Japan after running a community development program for four years in the Indonesian territory of New Guinea. He is currently working for the OSU horticulture department as a Faculty Research Assistant in the vegetable breeding and genetics program. Shinji has mostly worked with horticultural crops and related issues concerning the interaction between crops, human activities and the environment. He enjoys observing and capturing the beauty of nature through his camera lens. One of his favorite places in Oregon is the Rain Dance Ranch where nature reveals its intricate relationship with human activities, including agriculture and native habitat restoration efforts. Anne is currently the New Mexico Forest Program Director for The Nature Conservancy, and lives in Santa Fe. Anne has a Bachelor’s degree in biology from Colorado College, and a Master’s degree in Botany from the University of Montana. Anne grew up in northern New Mexico, and considers herself fortunate to have spent her career managing natural and cultural resources in many wonderful locations across the West. Before her position with the Conservancy, she was an ecologist for the U.S. Forest Service where she studied and wrote about the role of fire in natural ecosystems, developed natural resource plans and served as a regional botanist responsible for the proper management of rare and endemic plant species. She has served as a member of IAE’s Technical Advisory Board for the Southwest Program since its inception. Anne’s current interests include collaborative land management, improving management of burned watersheds, and restoring fire to its rightful role as a critical natural process in ecosystems where it has been excluded. In her free time, Anne enjoys singing, birding and exploring New Mexico’s spectacular landscape. She seeks to bring a sunny southwestern perspective to the IAE Board of Directors.